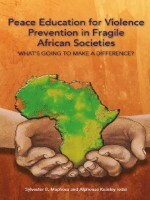 This book reviews the progress, prospects and challenges of meeting the Millennium Development Goals (MDGs) in Africa. 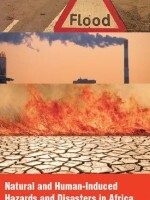 Each chapter corresponds with the eight goals of the Millennium Declaration. 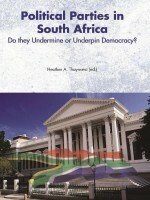 The introduction sets the stage for the discourse contained in the main text while the conclusion forms an opinion from the findings and prescribes the way forward. The goals in sequence include: •	Eradicate extreme poverty and hunger •	Achieve universal primary education •	Promote gender equality and empower women •	Reduce child mortality •	Improve maternal health •	Combat HIV/AIDS, malaria and other diseases •	Ensure environmental sustainability •	Develop a global partnership for development. While it is apparent that most North African countries are on the track to achieve the above goals by 2015, few countries in sub-Saharan Africa are expected to succeed in this. 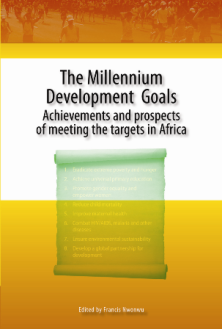 As well as reviewing progress towards meeting the MDGs, the authors also analyse the obstacles and challenges that stand in the way of achieving the goals. These include internal, economic and cultural obstacles as well as external and environmental factors such as reductions in funding, problems in accessing global markets and the implications of climate change for Africa.